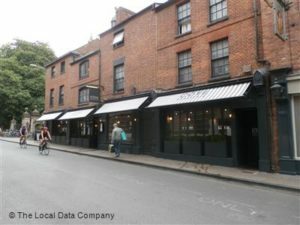 We were called by one of our regular corporate clients to be told that there was a considerable amount of damp affecting two separate areas of walls at Oxfords, Cote Restaurant and they would like us to survey it and advise them of the cause. Unlike other Cote restaurants we have damp proofed, this one wasn’t being renovated and was in constant use. This meant that any remedial work had to be carried out at night when the restaurant was closed and we couldn’t start work until midnight.Our specialist damp surveyor attended the property to inspect and test the two damp areas, using a calibrated damp meter and a thermal imaging camera, both of which confirmed the walls were very damp. As a result of our damp survey and the use of the property, it was agreed with our client that the best method of damp proofing the walls would be to install a high density polyethylene, studded Cavity Drain Membrane (CDM). Once a suitable date was agreed, our operative attended the property late in the evening to commence the damp proofing. We chose to use a studded mesh membrane, which allowed us to plaster board directly onto. The membrane was installed onto the walls using special water proof fixing plugs and the plaster board was filled over this and plaster set to a smooth finish. The project took several nights to complete to the complete satisfaction of our clients and the restaurant staff. Cavity Drain Membrane (CDM) systems are used a lot by Tapco HomeDry because they are the perfect solution for damp proofing basements and cellars. They are clean, quick to install, improve thermal values and last indefinitely. If you need specialist damp proofing make sure you only use a specialist because much of our work is replacing what someone else did. We are damp proofing experts, call us first. This damp proofing is covered by our 20 Year Guarantee which is protected by Guarantee Protection Insurance (GPI).